Please allow plenty of extra time to get to the university as there are a lot of road works going on and there are many temporary traffic lights across campus. Details of the numerous disruptions can be found here . Travel directions to the university can be found here . The closest train station to the university is Coventry. The Physics building is located at number 48 on the map below. The talks will take place in the Physics Lecture Theatre, which is located on the second floor. The Rootes building, where dinner will be served, is at number 55 on the map. 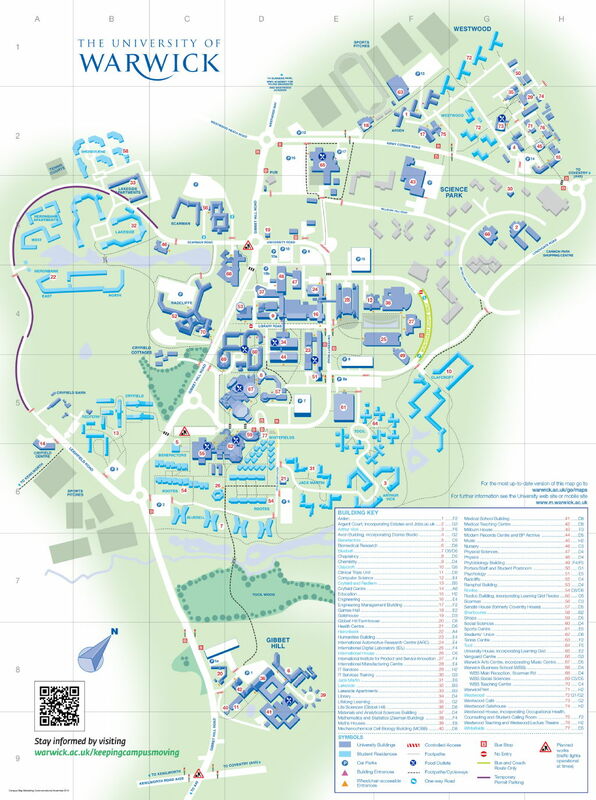 A pdf version of the map is available by clicking on the image.